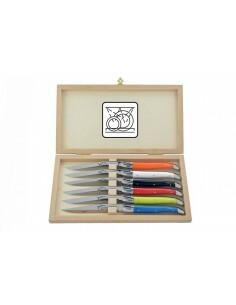 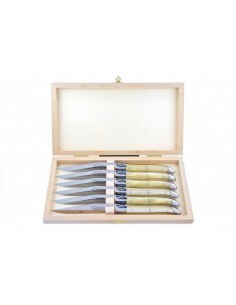 Laguiole table knives with STAINLESS STEEL and CORIAN handles are guaranteed dishwasher-safe (we advise a temperature of 50°C). 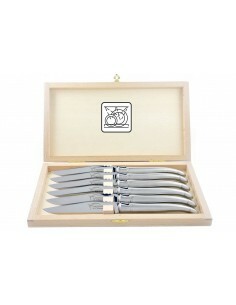 Laguiole table knives with ACRYLIC handles must be cleaned by hand (they can be immersed in water). 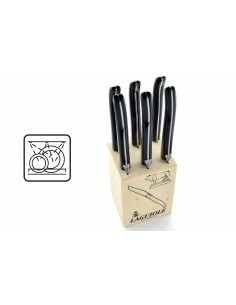 Modern and/or dishwasher-safeThere are 8 products. 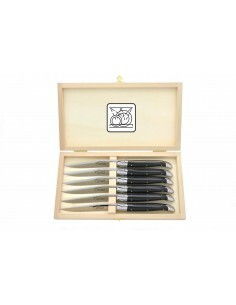 Laguiole steak knives. 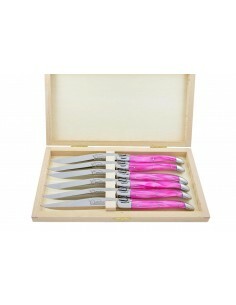 Slim pink acrylic handles with shiny stainless steel bolsters. 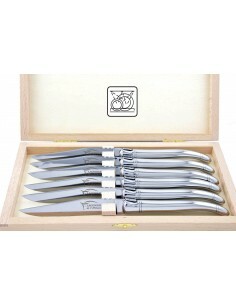 Laguiole steak knives. 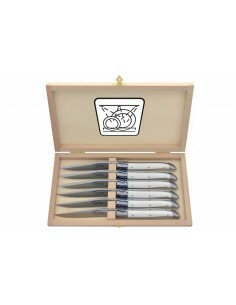 Slim sand acrylic handles with shiny stainless steel bolsters.